This book serves not only as a charming connection between past and present but also as a ringing endorsement for the continued preservation of our shared Little Traverse Bay history. 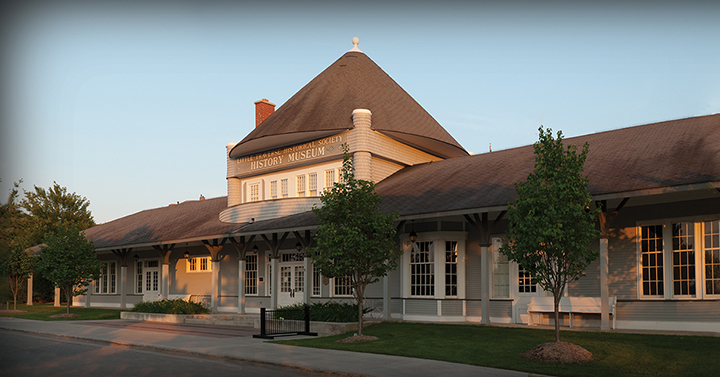 The railroad’s arrival in the 1870s transformed the formerly sleepy Little Traverse Bay region into a tourist mecca. 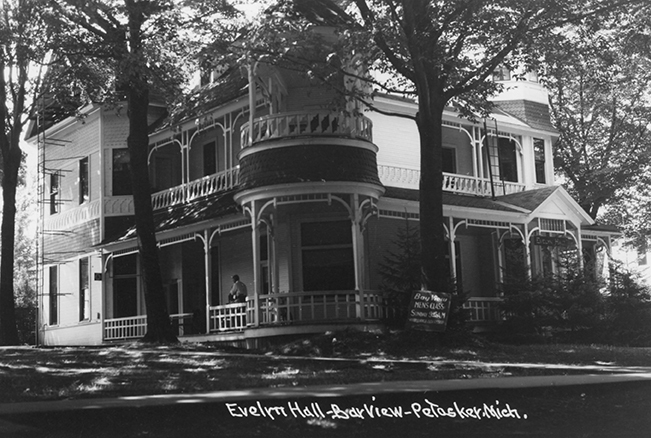 Victorian resort communities and the growing towns of Harbor Springs and Petoskey provided lodging, dining, entertainment, and supplies to an influx of settlers, speculators, and tourists who visited in the summer or stayed year-round. 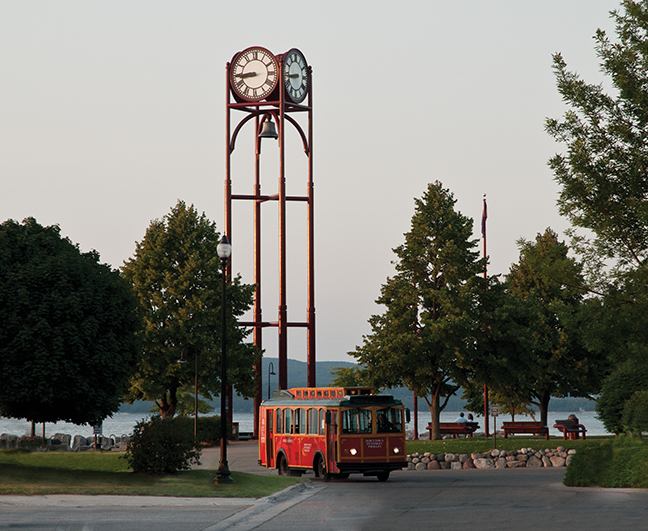 Over the decades, cars have replaced trains and steamships and many structures have been altered or demolished, but Little Traverse Bay, Past and Present shows that the area’s history is still very much a part of the present day. Featuring contemporary images by Rebecca Zeiss, over three hundred historic (most never before published) photos, and historical narrative by Michael R. Federspiel, this volume documents the development of the tourist economy and also serves as a snapshot of the region today. Little Traverse Bay, Past and Present is divided into chapters by place and topic. 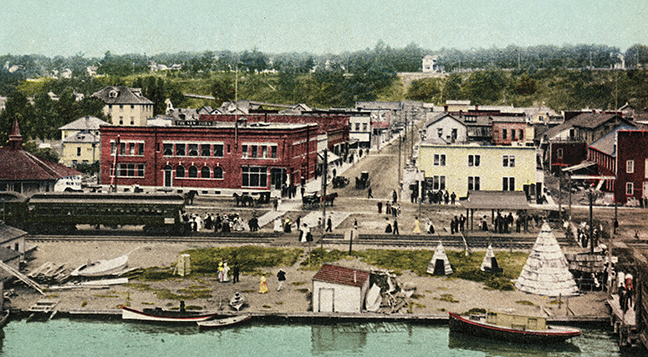 Federspiel and Zeiss look at the cities of Petoskey and Harbor Springs; the resort associations of Bay View, Wequetonsing, and Harbor Point; and railroads, steamships, and excursions. Along the way, they visit historic hotels, public buildings, residences, commercial districts, and waterfront areas. At many sites, Zeiss’s beautiful and precise photos show that the historic views are still as they were; at others, they are hidden behind facades or structural alterations. Sometimes the historic sites are simply gone, replaced by something totally new or turned into empty lots. Federspiel also includes an introduction on the making of modern Little Traverse Bay and introduces the leaders and businessmen behind it. Popular tourist regions often boast beautiful souvenir photo books or history books addressing their past. 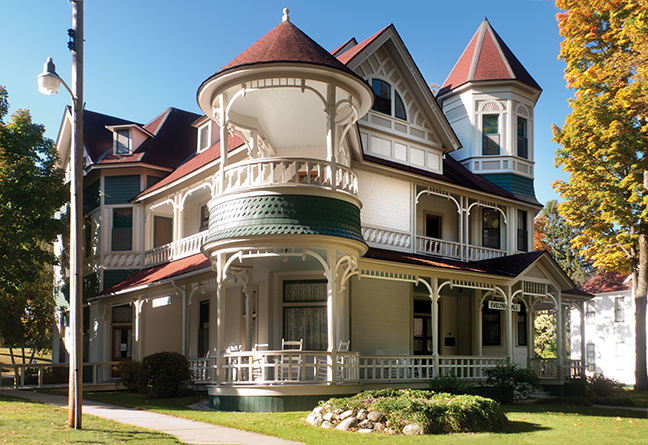 Little Traverse Bay, Past and Present is both, making it of interest to visitors and local residents alike who want to learn more about the area’s nineteenth-century history as well as those interested in its appearance today. 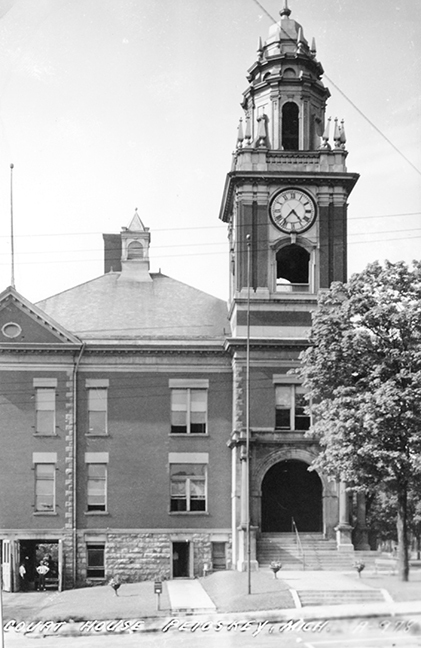 Michael R. Federspiel is the Little Traverse Historical Society’s executive director and a lecturer with Central Michigan University’s history department. His previous book, Picturing Hemingway’s Michigan (Wayne State University Press, 2010), was named a 2011 Michigan Notable Book by the Library of Michigan. Rebecca Zeiss (MFA) is a fine art photographic mixed media artist. She currently teaches photography at the University of Michigan-Flint and exhibits her work nationally. 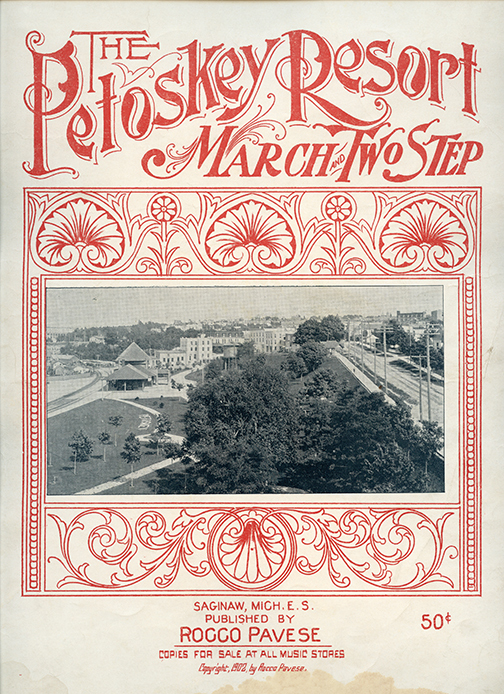 By recounting the buildings and lifestyles of the times, Federspiel traces the importance of tourism to the area, and the book successfully captures both "the things that were and the things that are". . . Little Traverse Bay offers a vivid historical introduction to the area and would make a great companion for anyone summering or visiting up North. 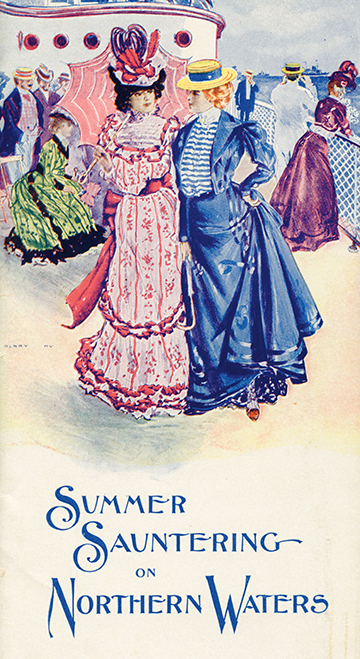 With text and images wrapped around the bay, from Petoskey to Harbor Springs, through the summer communities of Bay View, Harbor Point, and Wequetonsing, the book transports readers back and forth through the past, starting in the late 19th century. . . In the finished product, the pair’s artistic blend of old and new is the most compelling aspect of Little Traverse Bay: Past and Present. Author Michael Federspiel, in concert with photographer Rebecca Zeiss, has assembled this beautifully illustrated past-and-present look at the Little Traverse Bay area. . . The book was an enjoyable read and surely would appeal to anyone with an interest in the history of this premier resort area. Federspiel’s background positions him perfectly to take on the project. He’s director emeritus of the Little Traverse History Museum and he teaches full time in the Central Michigan University history department. . . The book is aimed equally at locals [as visitors]. . . It’s fascinating no matter which category you fall into. 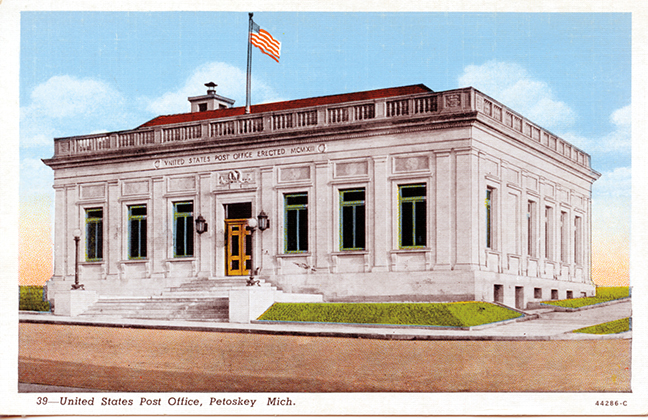 I’ve often wondered what it would have been like to walk the streets of Petoskey in the late 1800s or early 1900s. Federspiel and Zeiss have given me that experience through the rich photographs and insightful text of this great book. It’s like a step back in time. 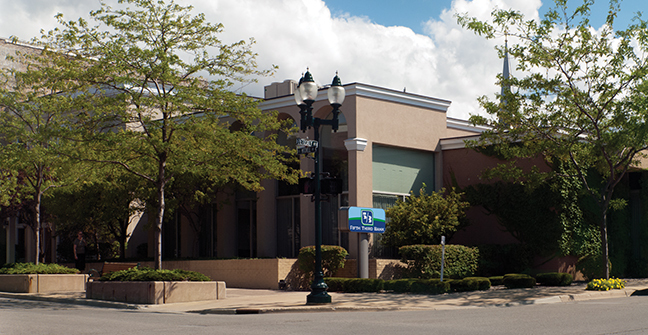 Michael R. Federspiel knows the history of Little Traverse Bay, and he knows a good story. Rebecca Zeiss is an amazing photographer. Together they create a volume that is accurate, beautiful, and a must read. This book serves not only as a charming connection between past and present but also as a ringing endorsement for the continued preservation of our shared Little Traverse Bay history. Readers will certainly enjoy this pictorial journey through time. In this richly illustrated book, Michael Federspiel and Rebecca Zeiss provide a fascinating historical tour of the towns of Little Traverse Bay. . . . For those interested in exploring the region’s history through words and images, Federspiel and Zeiss have provided a compelling view.